Posted on September 22, 2013 October 10, 2018 Categories Kansai Area, Tips for Japan Rail Pass, Osaka, Kyoto, Kobe and Nara, Rail pass for visitors, World HeritageTags Fushimi, Gion, Higashiyama, Karasuma, Kawaramachi, Kiyomizudera, Kyoto, Uji, arashiyama, omiya480 Comments on Guide to take trains in Kyoto. How to choose the best route by train to get the major spots? Train system in Kyoto may be complicated for you. 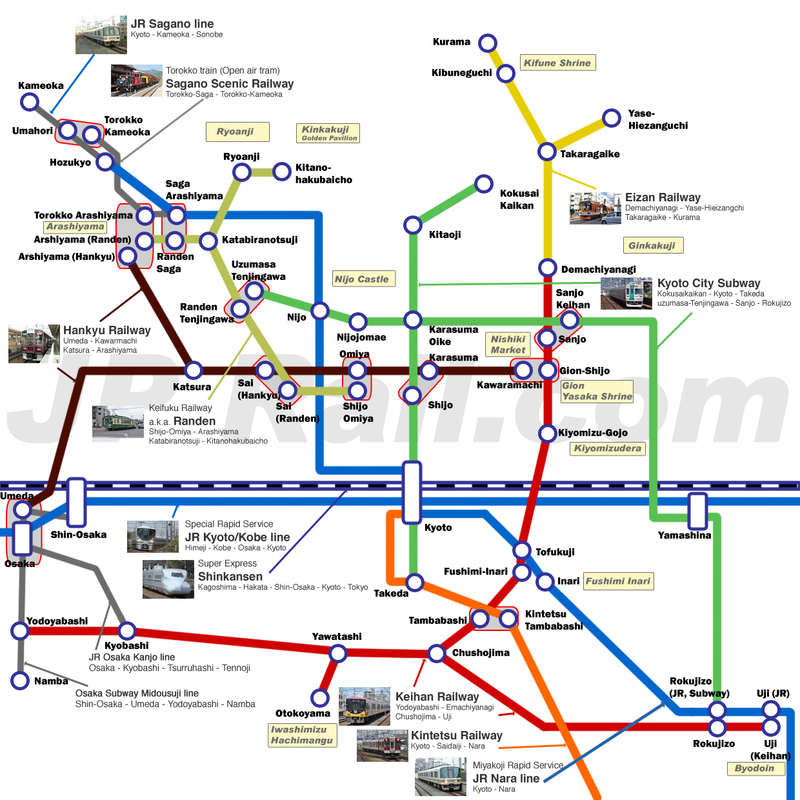 There are three types of railway, JR, Kyoto City Subway and Private company’s railways. Actually it’s a key to travel in Kyoto smoothly and avoid wasting your valuable time. Of course city of Kyoto has city wide bus service. But during peak season, bus service runs behind the schedule sometimes due to traffic congestion. And also, there are many types of deals, such as ICOCA, Kansai Thru Pass, JR Pass, Kansai Area Pass, Kyoto city pass. Each pass has different conditions. You have to understand which train system is covered by your pass. In this post, I tell you about using these deals and explain all train systems in Kyoto. Continue reading Guide to take trains in Kyoto. How to choose the best route by train to get the major spots?